Five science-based strategies for the holidays (and the rest of the year). During the holidays, opportunities abound to help kids understand why and how to help people in need, with food drives proliferating and countless organizations making pitches for end-of-year donations. And there's scientific evidence that kids should be receptive to those messages: Research suggests that they have a deeply rooted instinct to share and to help others, from the time they're very young--one study even found that toddlers enjoy giving to others more than they like getting treats for themselves. Kids, it seems, have a strong, natural drive to be kind and generous. Or so it seemed last year, when my wife and I tried to involve her in our annual practice of selecting organizations to support with a charitable gift around the holidays. Our then-seven-year-old wasn't having it--not interested, end of story. Clearly, there were two possible explanations: She was an exceptionally selfish human being, or I had failed as a parent. Probably both. I knew that wasn't true, of course. My daughter had always amazed us with the care and compassion she'd extended to most everyone, from younger neighbors to classmates to characters in her favorite TV shows. But I couldn't shake the feeling that I must have been doing something wrong. How could this obviously caring kid seem so apathetic when it came time to put her (or our) money where her mouth is? I know from my years working at the Greater Good Science Center that the key lies in nurturing her inner motivation for generosity--it has to be something she wants to do herself, not sees as a chore imposed on her by an outside force (like an anxious parent). Giving, in other words, has to feel good. cycle: Giving makes people happy and happiness promotes giving." So how can we make sure that giving feels good for kids and launches this "positive cycle" of happiness and generosity? I turned to experts for guidance, determined for things to be different with my own kid this holiday season. While they stressed that research on this topic is far from complete, there are science-based strategies for nurturing kids' altruistic instincts around the holidays and all year round. Here are five lessons I took away from our conversations. Research stretching back decades has found that kids are more likely to be kind and generous when they have at least one parent who models that behavior for them. But more recently, research by Mark Ottoni-Wilhelm of Indiana University has underscored that it's also important for parents to have conversations with their kids about generosity. One study led by Ottoni-Wilhelm found that adolescents were 18 percent more likely to donate money to a charitable organization if their parents had made any donation of their own in the past year. But if a parent had made a donation and talked with their child about giving, that kid was 33 percent more likely to donate--an increase of 15 percentage points. Similarly, adolescents whose parent did volunteer work were 27 percent more likely to volunteer themselves--and 47 percent more likely if their parent also talked with them about generosity. "I think we assume that actions speak louder than words," says Sara Konrath, an assistant professor of philanthropic studies at Indiana University's Lilly Family School of Philanthropy. "But in the case of this particular behavior, it seems like you need both together to effectively teach your children generosity." The experts stress that those conversations can and should start early, well before adolescence. Jill Gordon, director of the Youth Philanthropy Initiative of Indiana (YPII), says that her organization has started to offer programs for children--and their caregivers--as young as three years old, educating them about the various ways they can help others and contribute to their communities. She believes it's almost never too early for parents to start having those conversations, whether around the dinner table or in the car. "You can say, 'Your mom (or dad) and I support these organizations, and here's why," she suggests. Especially in these early conversations, parents don't need to explicitly encourage their kids to donate time or money--just raising awareness about the parents' own actions is an important first step. Gordon has found that those conversations really start to "sink in" around the age of eight--my daughter's age, and also the youngest age some research looks at when examining whether kids give to charity. So perhaps my concerns last year might have been a bit premature. For kids to feel compelled to help others, first they have to recognize that their help is actually needed. Here parents can tap into kids' strong propensity for empathy--evident in the earliest stages of life--which enables them to pick up on the emotions and needs of others. Studies suggest that kids are more likely to help people in need when they try to see the world through their eyes or identify things they have in common. A personal, human connection to someone makes that person's needs feel more real, harder to ignore, and thus motivates us to alleviate his or her suffering. "I think that's one of the most basic things that empathy can do: Alert us to the needs of others and make us motivated to fix them in whatever way possible," says Kiley Hamlin, a developmental psychologist at the University of British Columbia. Rather than shying away from a person in need, parents can gently encourage their kids to think about that person's history and experiences. Or even better, suggests Konrath, they can look for ways to interact with the people they're helping. Konrath's kids, ages seven and four, recently donated socks to a local homeless shelter. But even after taking that step, she thinks the idea of "homelessness" might remain an abstract concept for kids their age. "But talking to actual people and getting to know them," she says, "changes them from a group of people that kids don't really understand to real people with names and stories and families that they can understand." Jill Gordon has found that by the time children reach five or six years old, it's productive to start asking them questions about where they see needs in their community. "Maybe that means having an early conversation about homelessness and food hunger," she says. "There aren't a lot of supermarkets in this neighborhood--where do you think people get their food?" By the time students reach fourth or fifth grade, Gordon says, they have the critical thinking and organizational skills to consider bigger actions that they could take to help address those needs, such as organizing fundraisers or service projects, and they can better understand which organizations in their community are meeting those needs. A significant finding from studies of adults is that they'll derive greater happiness from their generosity--and thus be more motivated to give again--if they're able to see the impact it has on others. Aknin told me she has seen the same thing play out in her research with kids. In her study of toddlers, she believes they seemed to enjoy giving a treat (Goldfish crackers) more than receiving one because they got to see the recipient of their generosity--a monkey puppet--enjoy their gift right then and there. "They saw exactly how they were giving, and how it was beneficial," she says. For Konrath's daughter, making her own contribution might be a key to building a lasting habit of generosity: Recent research suggests that when people give away something that has greater personal meaning or significance to themselves, they actually feel more committed to the cause they're supporting and are more likely to keep supporting that cause down the line. This resonates with Jill Gordon's approach at YPII, where they encourage youth to think about philanthropy not only as volunteering their time or donating their money but also as a way to use their personal talents for the greater good. "Giving and serving, being philanthropic--it doesn't need to be a separate part of your life," she says. "It can be part of your identity, part of the activities you're already passionate about. If you're into the arts, let's find a way that you can use those talents. If you're into sports, maybe you can organize a drive to give away sports equipment." The more philanthropy is integrated into what a child is interested in or passionate about, she finds, "the more it tends to stick." And, perhaps surprisingly, philanthropy might be more "sticky" if it involves personal sacrifice, according to Lara Aknin. Her research found that kids looked happier when giving away their own Goldfish than when they could take Goldfish from another pot and give those away instead. "I think this suggests that not only is giving rewarding to kids, but also that giving might be especially rewarding when it involves some sense of sacrifice," she says. So although it makes sense for parents to want to facilitate their kids' generosity by making donations on their behalf, it might be more effective in the long run for kids to have some skin in the game. Though there have been some well-intentioned efforts to involve kids in philanthropy through mandatory service-learning programs, evidence suggests those efforts might backfire. Decades of research has found that when people are forced to do something kind for others, or even subtly coerced to do it through an external reward, they'll see themselves as less altruistic and thus feel less motivated to help others in the long run. Instead, studies by Netta Weinstein and Richard Ryan, among others, have found that people feel happier after performing kind, helpful--or "prosocial"--acts only when those acts are voluntary and self-directed; when they feel pressured to help, they feel worse. That's why Jill Gordon stresses the importance of presenting options to kids and giving them choice. "If you're not involving kids in that conversation, they feel like it's being forced on them," she says. "It feels like homework." Gordon and others say it's important to keep in mind that there are different forms of giving: volunteering one's time, donating money or goods, lending one's talents to a cause. Not only are some more appropriate for different ages, but some are also more appropriate for different kids. Giving kids the freedom to choose what feels like the best fit for them will increase the odds that they'll feel good about their generosity and stick with it. 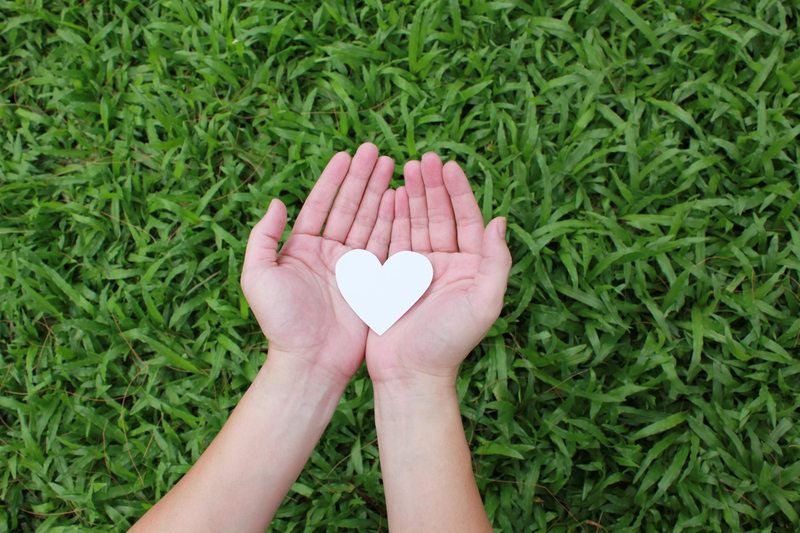 "Giving givers choice--encouraging them to give but allowing them to choose what they give to--can make a big difference in the well-being of the giver afterwards," says Hamlin. "And we want kids to grow up to be prosocial adults who will continue to give even after we're not around to make them." That's why, this year, my wife and I resolved to play it cool--no guilt, no coercion. But of course, we want her burst of generosity to come more than a once a year. 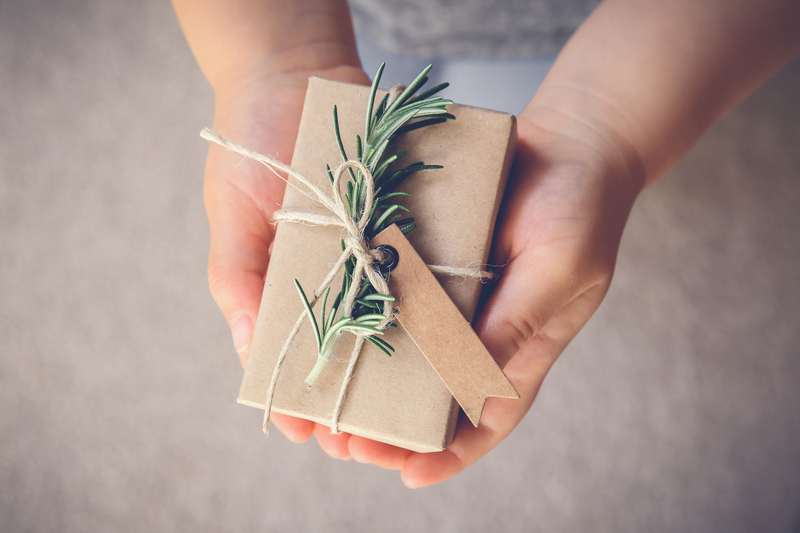 Our goal is for these activities around the holidays to help build a lasting habit of generosity--a habit that doesn't only bring her happiness but also teaches a deeper lesson about her place in the world. It's a lesson that most parents want to teach their kids, and one that Sara Konrath eloquently summed up toward the end of our conversation. "We're all interconnected with each other," she said. "And giving is just a reminder of our human connection to others: Not only are the recipients not alone, because we're thinking of them, but we are not alone."